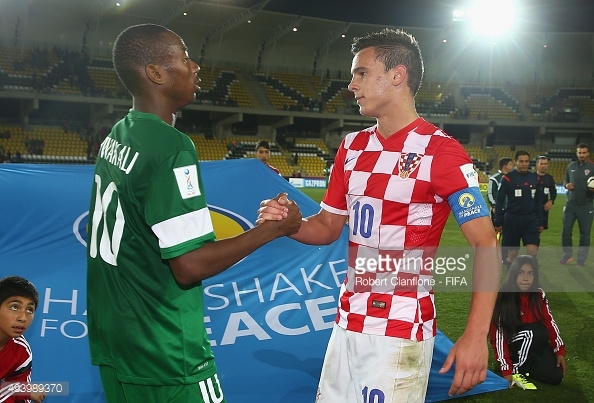 Nigeria Under-17 team won the currently concluded FIFA U-17 World Cup in Chile and their players also won a number of awards including the Most Valuable Player of the competition which was won by the team captain, Kelechi Nwakali. The fantastic midfielder immediately became the most sought after youngster after the competition and he himself hinted that he would love to play for Arsenal but according to recent reports, the player’s agent, Klay Ekeocha has confirmed that the 17-year-old player has reached an agreement to be represented by the same agency that manages Real Madrid’s star winger Gareth Bale. The player however is said to be considering agreeing terms with Chelsea as the Gunners have not followed up on the player’s wish to join them. The player is one with a very huge potential but it remains to be seen what the player will decide afterall and if his agents can be able to get him a good club and a good deal.